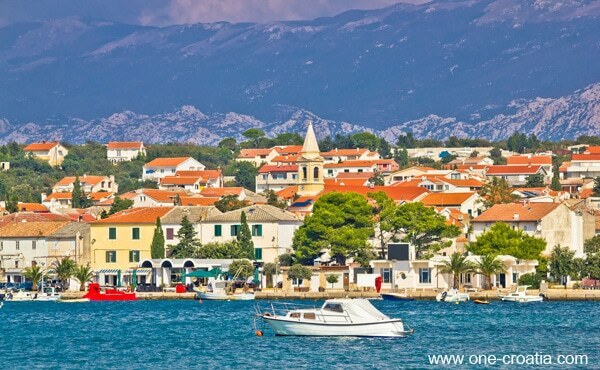 The Croatian region of Kvarner is very famous for its islands of Lošinj, Cres and Rab. As well as Krk, the biggest island in Croatia, connected to the continent by a bridge. On the island of Pag, Novalja is know as the Croatian Ibiza for its parties on the beach. Note : here is a very simplified map and not entirely right because the Kvarner is actually much smaller. The Kvarner is actually the northern part you see on this map, which includes the coastal part of the region Primorje – Gorski Kotar. But when we talk about touristic regions and to keep things simple we extend this region to the region of Lika -Senj in the south. So for example if you wish to book an accommodation in the town of Senj on the web site of a tourist agency, you’ll have to look in the Kvarner’s region, but in reality it is situated in the Lika-Senj region. For more information about ferries, schedules and prices, please visit the site of the Croatian ferry company Jadrolinija at www.jadrolinija.hr.